If you’re no longer in your teens then chances are that you’ve been on a fair few dates by now. Whether it’s with people you’ve just met in bars, or whether it’s with a long term partner on ‘date night’, going on a date means doing something exciting and romantic together and using the experience to bring you closer and to enjoy time together. But every now and then a ‘big’ date comes along which blows the others out of the water. This date is no longer just textbook, but rather has pressure on it to become an uber date. Perhaps it’s an anniversary, perhaps it’s a first date with a supermodel, or perhaps you plan to propose. Whatever the reason for your major date, how can you go about making sure that it’s the best day out you ever plan for your partner? Here we will look at a few ways to make a date into an uber date. When you go on any date you should ensure that you’re looking your best which will probably mean wearing your best suit/dress. However if this is a particularly important date then you need to go that extra mile and there are a number of ways you can do that. One is to get a new haircut, while another might be to go for a facial. Not only will this help you to look your best to really impress your date, but it will also ensure you feel confident and that will help you to be on your best form throughout the day/evening. The way you greet your partner is always going to have a huge impact on the tone of the event and is going to set the scene for what is to follow. If you start out then by giving them a gift, this is a sure fire way to put them in a great mood and to demonstrate that you’re taking the day seriously. There are all kinds of gifts you can give to this end, but they include chocolates, flowers or something more thoughtful and personal if appropriate such as a CD of their favourite band. How you get to your date can also be an important first impression that can cement the occasion as a hit or a miss before you even begin. 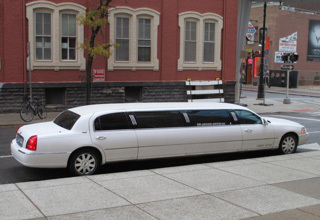 To really knock one out of the park, why not hire a limousine and turn up in that? This is very exciting as many people won’t have ridden in one before, but it’s also very plush and luxurious meaning you’ll both be relaxed and in a good mood when you arrive. Obviously what you do for your event is also going to be important on your big date, so make sure that you have something planned that is a little more classy and special than you might normally consider. This could mean going to the theatre, or to a classy restaurant. Whatever would normally be considered too indulgent or just out of your budget will show that this is more than your normal day out. Is Multitasking Really Good for Productivity? D-Aspartic Acid – Does it Really Enhance Your Testosterone?